According to ABC News consumer counseling agencies see a 25 percent increase in the number of people seeking help in January and February, and most of that traffic is propelled to their doors by holiday bills that haunt consumers like the ghost of Christmas past. Christmas shopping on a budget can help. For many of us, while we have the lights up and the tree decorated, there isn’t anything under the Christmas tree yet. You may not have bought a single present or even budgeted for presents. Here are nine easy, last-minute Christmas shopping tips for busy people trying to do their shopping on a budget. 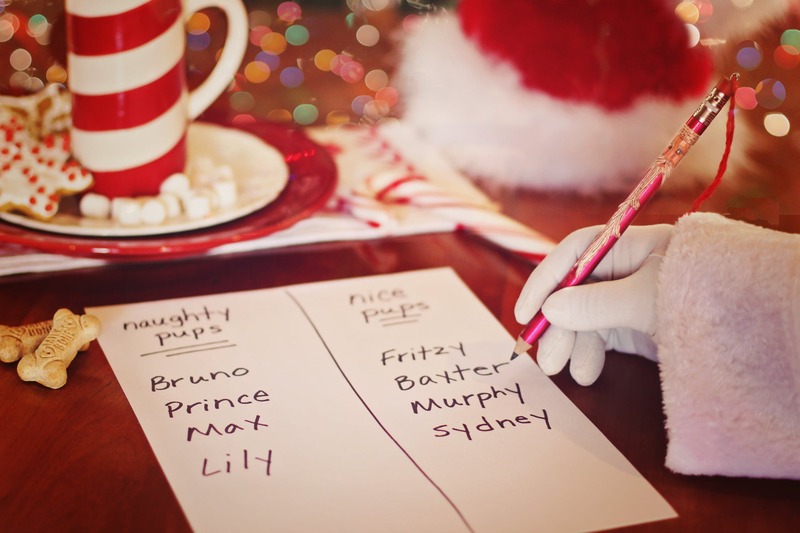 Write down the list of people you plan on buying gifts for. Critically consider who should be on your gift list and don’t be afraid to trim it. Start with your immediate family and close friends, and selectively add to your list from there. Many people overspend on Christmas gifts by letting their emotions get the best of them. It’s easy to feel guilty when it comes to holiday spending. Do you need to spend $50 on every one of your nieces and nephews? Definitely not. Figure out the total amount of money you want to spend on presents, and divide it up among each person on your list. For example, if you decide to spend $400 on presents, that might be $150 for your spouse, $50 for your parents, and so on. And if this is the season to pop the big question, there are ways you can save money on an engagement ring. It’s the thought that counts, not the price tag. udget. When you use a credit card, it’s way too easy to lose track of how much you’ve spent and on who. Plus, an extra $10-$15 here and there go unnoticed but add up quickly. Use the cash budget – you’ll thank yourself in January when you don’t have any Christmas debts to pay. If you shop alone, you’ll likely spend less money, especially if you have friends with poor money habits. A shopping partner in crime can distract you from your plan by convincing you to buy something unplanned and unnecessary. It’s very easy for someone else to spend your money. This would look great on you! Haven’t you been looking to get one of these? Guilty! I love buying myself things I want, when I want them. And my wife Katie hates it because it’s one more thing she can’t get me for Christmas for the man who’s impossible to shop for. In December we institute the ‘no shopping on Amazon for yourself rule.‘ If I want something, I can add it to my wishlist or ask for it for Christmas. Our rule also helps avoid splurging and spending less. This is the season for giving, not receiving. If you find something you can’t live without, add it to your wishlist. If nobody buys it for you, pick it up on sale after Christmas for yourself. To get the most out of your holiday budget check out the discount stores where you can find discounted items and great deals. To save even more look to buy discounted gift cards to pay for your purchases. If you shop exclusively online, remember Amazon may not always have the best price. Be sure to check out eBay, Walmart, and specialty stores. How many toys can a child play with at once? There are a lot of ways to save money on babies and toddlers too. My wife Katie loves having many presents to open. And she loves socks. Instead of wrapping six pairs of socks in one box, I’ll divide them into a couple of boxes. Or if I buy her only three pairs of socks, I might wrap each pair individually. If you are giving a Christmas gift that has several parts to it – tools, an outfit, kitchen utensils, – wrap up each item individually. Your recipient will have more to unwrap and a fun time doing it. If you care about doing an awesome wrapping job, learn how to wrap a present. 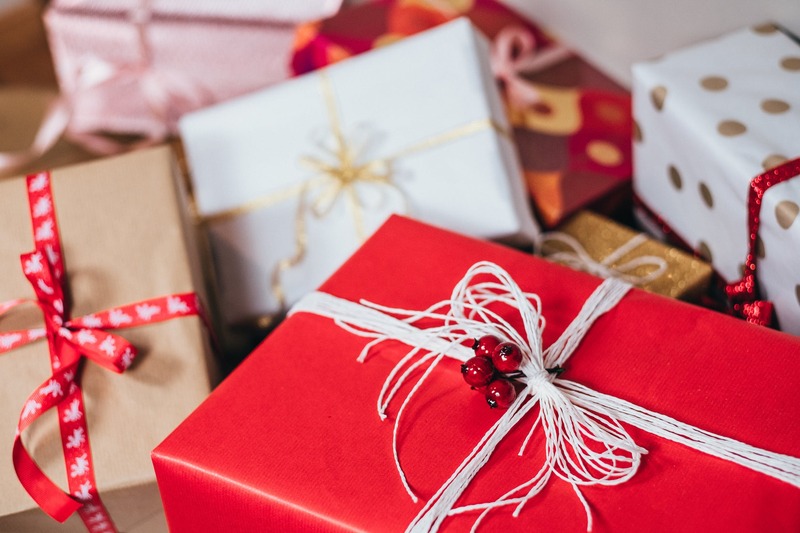 You can save money while still giving great gifts by giving a slightly more expensive gift to two or more people instead of buying individual gifts for every person. For example, if we purchase a Barbie Dream House for my three nieces they can all enjoy it, instead of buying a Barbie Corvette for each of them. For couples – an experience, weekend getaway, new T.V. It’s a stressful time of year for many people with money being tight or having a lot of people to buy presents for. To avoid the big credit card bill that will be due in January and to keep from paying for gifts from now until next Christmas, have a shopping plan and a spending budget. Know how much you’ll spend on each person, what you’re going to buy them, and pay in cash. Give yourself the gift of starting the new year with less debt and more money in your pocket! As summer comes to an end and back-to-school season begins, it can be hard to get back into a regular schedule — both for kids and adults. To help you out, we asked Dr. Fran Walfish, a child and family psychotherapist and author of “The Self-Aware Parent,” and Christina Nichols, Ph.D., a licensed clinical psychologist, to share their thoughts on how parents can get a jump on the school year. In response, they gave us 101 tips that parents can use to ease their kids back into school, while also managing their own stress. The trick here is to plan ahead. Read through this list and identify some strategies that you think could help you and your family stay organized and on top of things. Then, test these different approaches as a family so you can figure out which ones work for you, and which ones don’t. Finally, make sure that you include your entire child care crew in your plans, too. No matter whether you have a babysitter, a nanny, a tutor, or all of the above, they’ll be able to help you keep your kiddo on track for the first day of school. Plus, they’ll be able to take some tasks off of your plate — which means that you can enter the school year with a little more of your sanity intact. Set your kids’ sleep schedules back to “School Time” two weeks before the first day. Get your kids involved in programs that they can do after school to keep them active. Visit cultural attractions like museums to shift their brains into “Scholar” mode. Hire an after-school sitter to help care for your kids while you’re at work. Encourage your kids to read at least one book before the school year begins. Reacquaint your kids with the calendar schedule they’ll use to manage their activities. Try apps like iHomework or MyHomeWork to help your kids organize assignments. Let kids choose a planner or scheduling tool that they’re excited to use. Set up weekly meetings to review your kids’ schedules for the week(s) ahead. Create a family calendar that tracks everyone’s activities and commitments. Refresh your rules about screen time for the school year. What’s allowed and when? Establish a set “Family Time,” whether it’s during dinner or before bed. Give kids a specific day to when they can choose all the activities you do together. Determine how long it takes them to do assignments to help with time management. Use an egg timer to get your kids used to focusing for specific periods of time. Teach your kids to prioritize their assignments by making to-do lists with deadlines. Give your kids a short break after each assignment they finish, such as a short walk. Set a regular alarm each day that signals the start of homework time. Discuss what your kids can expect on the first day so they feel more prepared. Visit the school with your kids so they can get familiar with their new environments. Arrange playdates with two or three of your kids’ friends to rebuild existing social ties. Ask teachers for class rosters so you can arrange playdates with new classmates too. Get the lists of school supplies, books and technology your kids will need. Inventory last year’s school supplies before going out to buy more. Include your kids in back-to-school shopping by letting them pick out their items. Make a plan for organizing those supplies — and keeping them that way. Create a dedicated space for your kids to store their school supplies and technology. Remove distractions like TVs and video game consoles from homework areas. Repurpose and relabel plastic tubs to organize all school supplies. Help your kids develop a filing system for organizing their documents for each class. Set — and enforce — regular weekday and weekend bedtimes. Set — and enforce — regular weekday and weekend wake-up calls. Keep track of existing extracurricular activities to prevent over-scheduling. Have your kids set realistic goals for the new year, such as reading 30 books. Help your kids prioritize their activities by tying them to their year’s goals. Create a list of fun after-school activities and games to keep your kids entertained. Touch base with teachers early on to troubleshoot any issues your kids may be having. Here are 20 questions you can ask. Create an after-school schedule that allows time for snack, relaxation, play and study. Establish regular bedtime routines for elementary school kids and preschoolers. Carve out blocks of fun time for your kids, whether it’s through sports or playdates. Hire a tutor, babysitter or homework helper to help you navigate homework time. Model good behavior by doing your own work/projects while your kids do homework. Encourage your kids to lay out their school clothes the night before. Use this printable checklist to establish a regular morning routine. Have your kids pack their school bags before they go to sleep that night. Have your kids also pack their gym bags the night before and leave them by the door. If your kids bring their own lunch, pack their lunch boxes before going to bed. Establish rules for where they should put lunchboxes, etc. when they come home. Revamp your home organization setup to be more kid-friendly. For example, low hooks make it easy for younger children to hang up coats! Go through your kids’ schoolwork once a month to toss the things you don’t want. File or scan assignments that you want to keep. Create an inbox for kids to leave things that need your attention, like permission slips. Designate a plastic tub as a put-away bin for anything that’s out of its place. Set a time each week to sync up individual calendars with the family calendar. Inventory your kids’ wardrobes and toss/donate things they’ve outgrown. 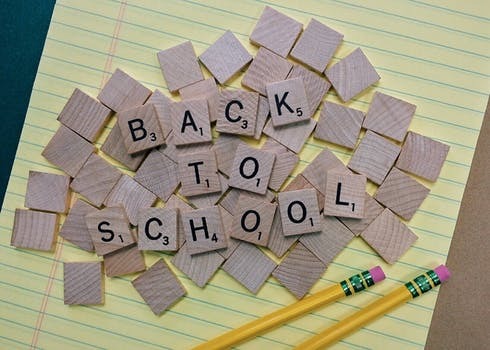 Create a list and budget for back-to-school shopping. Let your child choose their clothes, shoes and other items they’ll need. Go through their wardrobes every 2-3 months to get rid of things that no longer fit. Set up a laundry system that makes it easy to sort and wash everyone’s clothes. Make homework caddies that can be used to carry school supplies through the house. Buy bulk packaged snacks like bags of grapes that can be easily added to lunches. Discuss the different pros and cons of bringing versus buying school lunches. Get copies of school menus in advance to discuss lunch choices. Get your kids involved in creating and preparing their daily lunch menus. Buy reusable sports bottles to increase their water consumption during the day. Keep a small emergency allowance in your kids’ bags, just in case. Organize lunch ingredients in one part of the fridge so you can make fast lunches. Purchase lunch boxes or reusable bags to help save the environment. Make a week’s worth of sandwiches on Sunday, wrap in tinfoil, and freeze. Unthaw them the night before. Use sticky notes to flag important items in kids’ that they should pay attention to. Plan supervised study dates when kids work together on projects or homework. Have a backup transportation mode planned in case your kids miss the bus. Set your clocks forward 10 minutes. This makes it easier to be on time. Schedule blocks of time to check in with each child to see how things are going. Hire a housekeeper to help with cleaning and know things off your to-do lists. Create a rewards system for when they meet goals like helping around the house. Shop for school supplies and clothes early. Avoid the rush. Make sure your kids (and you!) have an effective wake-up alarm that works for them. Set an alarm or notification 30 minutes before bedtime. Remove things like mobile devices from kids’ bedrooms to focus them on sleeping. Use night lights, white sound machines and fans for kids who can’t get to sleep. Keep a single, easy-access file for vaccination records and other important papers. Set up the breakfast table before you go to bed. Map out a bathroom schedule to avoid family fights for bathroom time. Replace old backpacks with ones that are sturdy, ergonomic and kid-friendly. Keep a running list of supplies, clothing and food that need to be bought each week. Use a see-and-store toy rack to make it easier for kids to stay organized. Set up a hanging organizer with five boxes for clothes for each day of the week. Dedicate a rack in the garage, basement or entry way for sports equipment. Create a regular pet care schedule that outlines who does what and when. Schedule study blocks on the weekends before big tests, mid-terms and finals. Use under-the-bed storage for off-season clothes and toys that aren’t regularly used. Give everyone a shower caddy to keep bathroom supplies organized. Have a playdate caddy ready to go, with an extra set of clothes, games and toys. Figure out different ways you can be involved in the classroom this school year. Talk openly with your kids about their feelings about returning to school. Make sure to hit on these 5 Back-to-School Worries. Do something fun to diffuse this stressful time of year for all of you. With all this preparation, your kids will be in great shape. If you’re relaxed and calm, they’ll head off to school feeling excited and ready to get to work. Liz Alton is a freelance writer specializing in digital marketing, business and technology. To learn more about her work, check out her website. (CNN) An outbreak of E. coli linked to romaine lettuce from the Yuma, Arizona, growing region has spread to four additional states, the US Centers for Disease Control and Prevention announced Wednesday. Florida, Minnesota, North Dakota and Texas are the latest states to report illnesses, bringing the total to 29. The CDC also reported 28 additional cases of illness, bringing the total to 149 since the outbreak began in March. Symptoms of the most recent illnesses reported began April 25. However, the CDC warned that due to a lag in reporting, any illness that occurred in the past two to three weeks may not have been counted in this update. Last week, the CDC announced that one person had died; the death, in California, was the first known fatality. Previously, the CDC warned that the strain of E. coli identified, O157:H7, is particularly virulent and known to be associated with higher hospitalization and complication rates. Sixty-four people have been hospitalized, the CDC said, and 17 of those have developed hemolytic uremic syndrome, a form of kidney failure that can be life-threatening, although most people recover in a few weeks. Symptoms of E. coli begin on average three to four days after the bacteria are consumed. They include severe stomach cramps, diarrhea and vomiting. Most people recover in five to seven days with supportive treatment. The CDC cautions against the use of antibiotics when dealing with this strain of E. coli because studies have connected antibiotic use with an increased risk for hemolytic uremic syndrome in both children and adults. “Antibiotics are not recommended for patients with suspected E. coli O157 infections until diagnostic testing can be performed and E. coli O157 infection is ruled out,” the CDC said. The US Food and Drug Administration said it received confirmation from the Arizona Department of Agriculture that romaine lettuce is no longer being grown or shipped from the Yuma area. But there is a 21-day shelf life for romaine, the agency says, so there might still be lettuce in the supply chain. However, the agency confirmed that no other types of lettuce or any other growing region for romaine are involved in the outbreak. To explain the diverse geographical spread of this outbreak, the FDA said it is still investigating multiple points of origin and distribution. Last week, it identified Harrison Farms as the source of a single outbreak at a correctional facility in Nome, Alaska, that sickened eight inmates. See the latest news and share your comments with CNN Health on Facebook and Twitter. The growing season at that farm has ended, and the shelf life of the lettuce from there has passed. Therefore, it is not being sold or served anymore. Because labels on romaine lettuce do not often list growing regions, it can be difficult for a consumer to tell whether the lettuce they are purchasing is part of the outbreak. 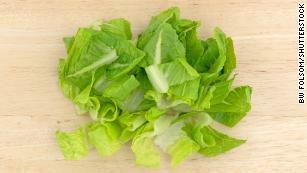 The CDC warns consumers not to buy romaine unless they can verify the region of production. There’s a Second Flu Wave Coming — and It’s Especially Bad News for Parents with Little Kids! It seems as if this year’s long, widespread flu season should be coming to an end, but parents—especially those with younger children—should stay diligent when it comes to spotting influenza symptoms. There could be a second wave of the flu, according to the Centers for Disease Control and Prevention (CDC). In the CDC’s most recent weekly report, the organization says that though the overall percentage of influenza activity is decreasing, the proportion of influenza B viruses is increasing, and there were more reports of the influenza B than influenza A during week 11 of this year. For the majority of the flu season, which began in October 2017, most cases reported were influenza A, but in the past week, 59 percent of all confirmed cases were influenza B. The CDC reports that there have been 133 pediatric deaths as a result of this year’s flu season, with five deaths reported in the past week alone. Young children—as well as older adults and pregnant women—are at a higher risk for contracting the flu. According to the CDC’s website, annual vaccinations are the best way to prevent the flu and the “potentially severe complications” the virus causes in children.